Pittsburgh has an independent board to review police misconduct. These residents want to create one that covers the county. 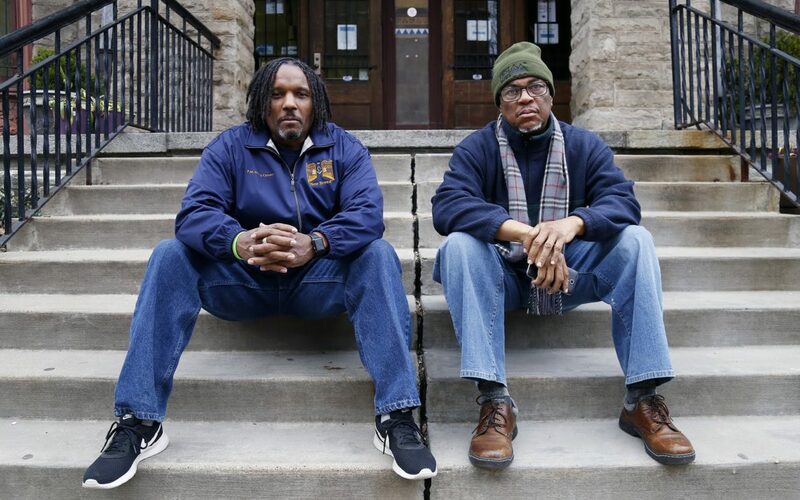 Douglas Connor (left) and Khalid Raheem are organizers with the Committee for a Civilian Police Review Board of Allegheny County. “It is more important than ever to have a countywide board,” says Raheem. “Due to gentrification, black people who previously lived in the city are now moving to the boroughs and we need to be able to address allegations of police brutality and misconduct at the borough level.” (Photo by Ryan Loew/PublicSource)The 1995 death of Jonny Gammage Jr. remains a flashpoint in the discussion of police accountability in the Pittsburgh area. His death — akin to the more recent high-profile killings of unarmed Black men by white police officers throughout the nation — helped spur the creation of a police review board in the city of Pittsburgh.